According to a recent survey conducted by Software Advice, a company that reviews and researches software applications and technology, 64 percent of retail stores still don’t have a POS system in place. Why should businesses, especially small ones, invest in a POS system? A point of sale system has numerous benefits for both the retailers that invest in them, and the customers who experience them on a daily basis. One of the most important parts of a business is customer management. By investing in the care and quality of customers, businesses are capable of driving new customers to their establishment while maintaining their initial customer base as well. By collecting data on customer purchase histories using a POS system, a business can ensure its stock is kept up to date and customers are happy. 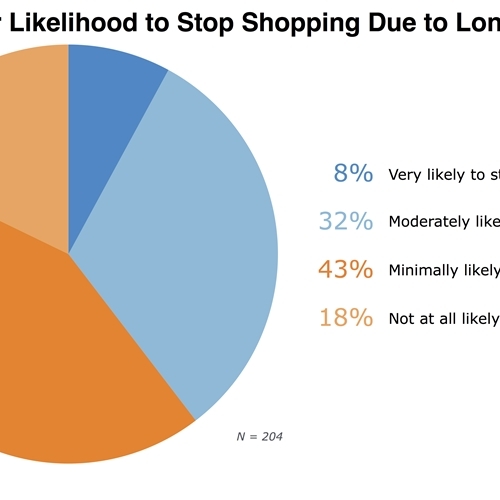 66 percent of customers responded that they would stop shopping at a store if they were not recognized as loyal customers. In addition, using a POS system tracks sales reporting and analytics. 76 percent of business respondents said their use of a POS system includes sales reporting, which can increase sales, display product revenue and above all, help cater to the customer. The stock of a business is crucial, as 83 percent of respondents said they would stop shopping at a store due to items being out of stock. Businesses are beginning to realize the importance of a more sophisticated system for inventory purposes. 74 percent of businesses polled said they were buying a POS system based on its inventory management capabilities. The ability to track items based on size, color and customizable searches streamlines the shopping experience for everyone involved. Visual Retail Plus has a range of features available for all your POS needs including employee tracking, inventory stocks and streamlining the checkout process. Learn more on our website.